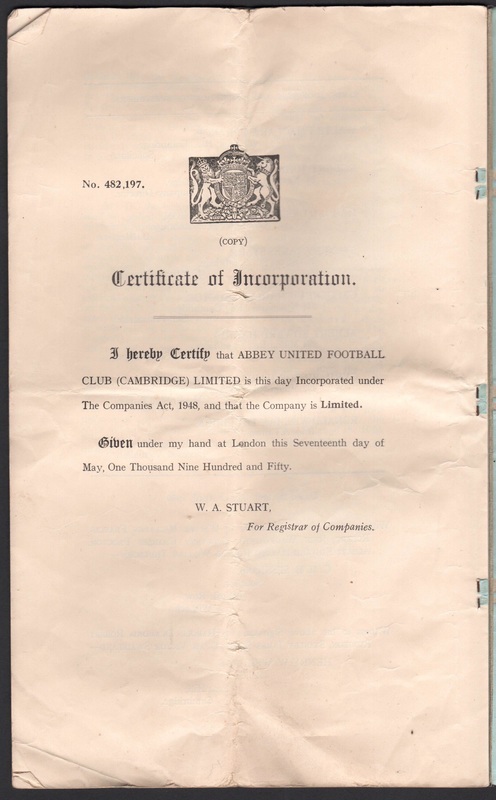 There is a paucity of documentation helping to explain Abbey/Cambridge United's history, but what we have is fascinating. 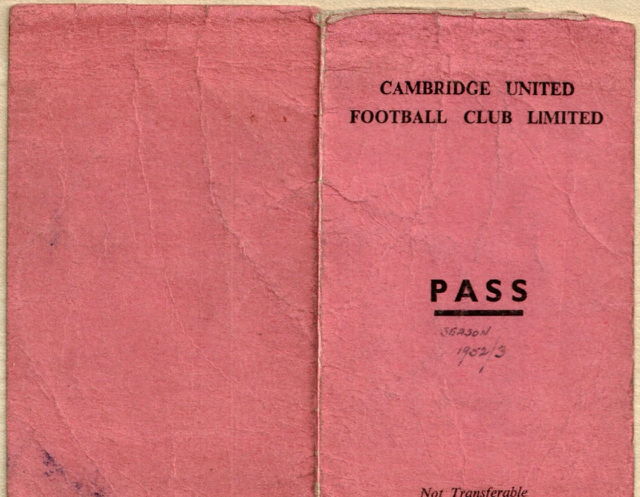 Keep checking back here for new additions to the collection. 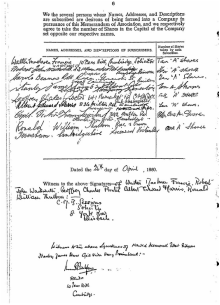 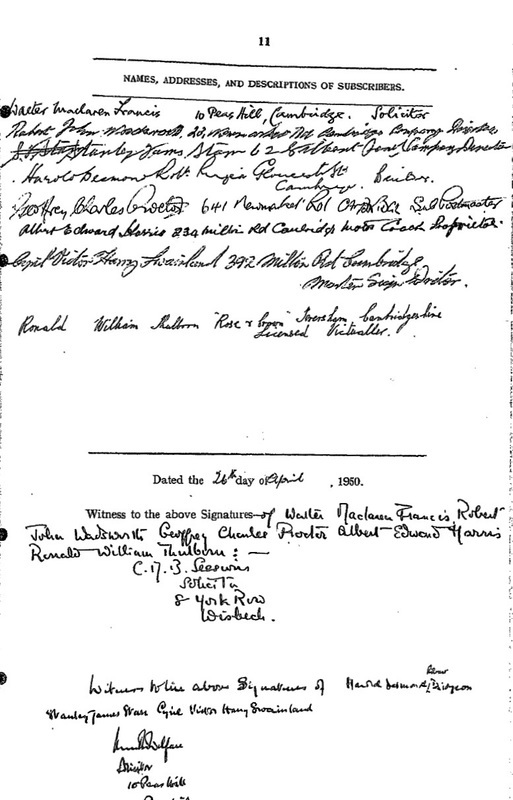 Signatures of subscribers. 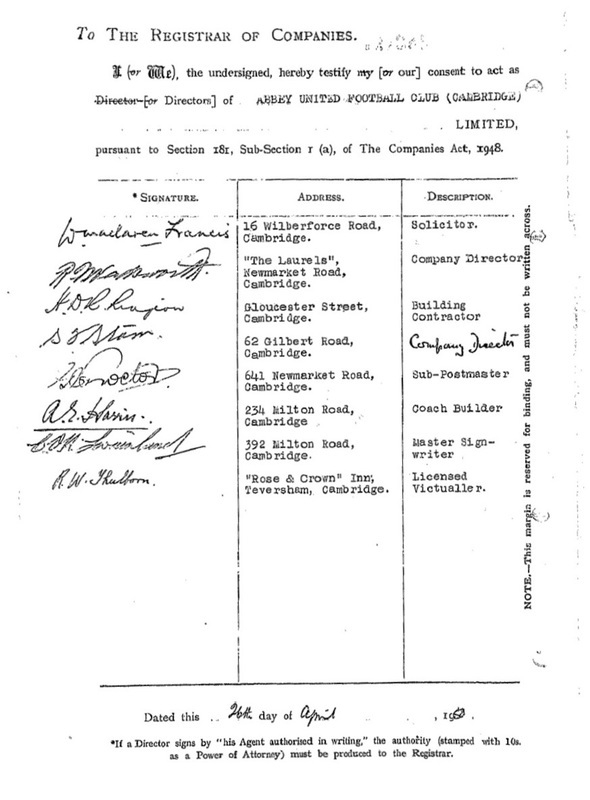 See previous image, above right. 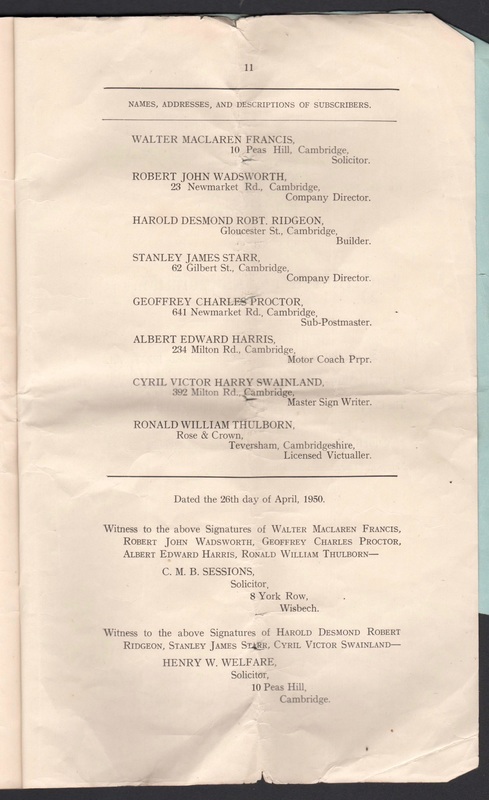 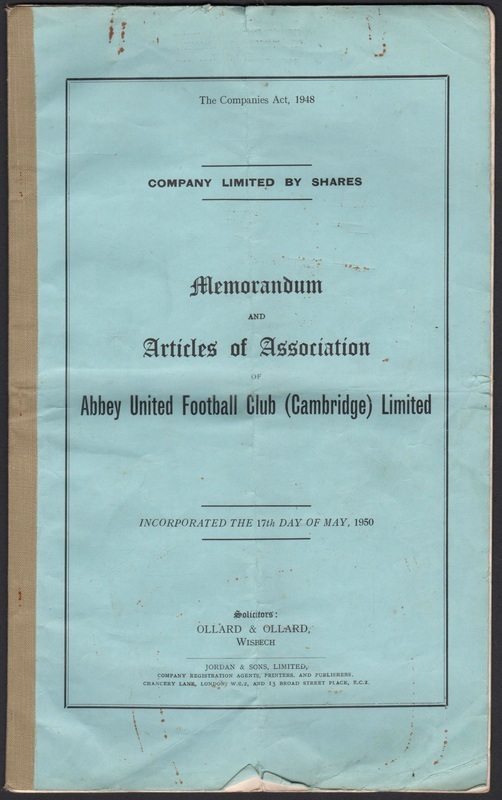 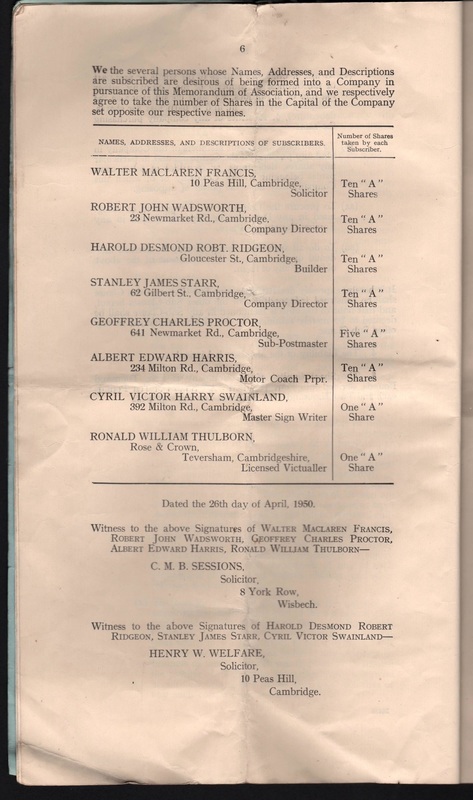 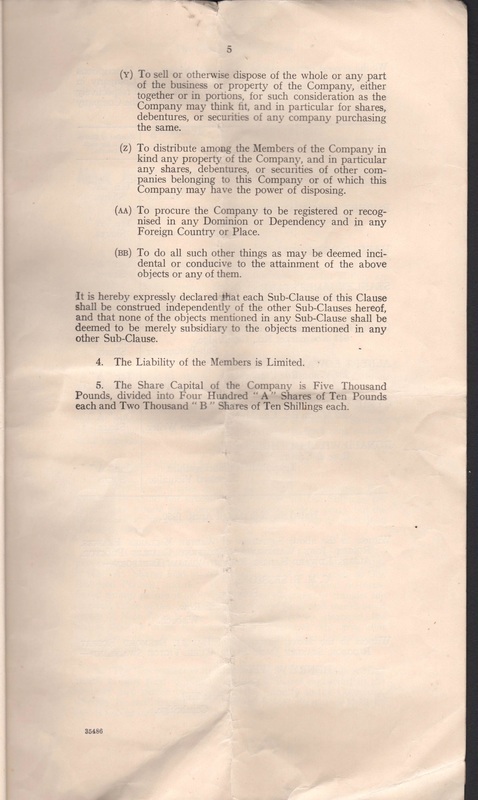 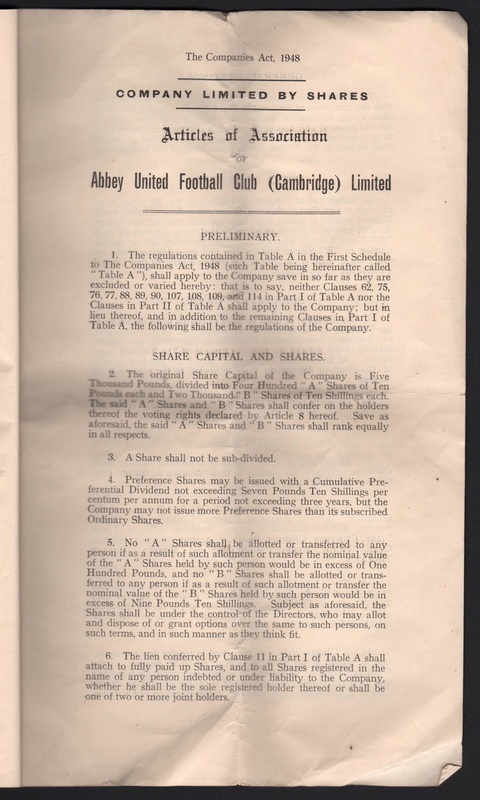 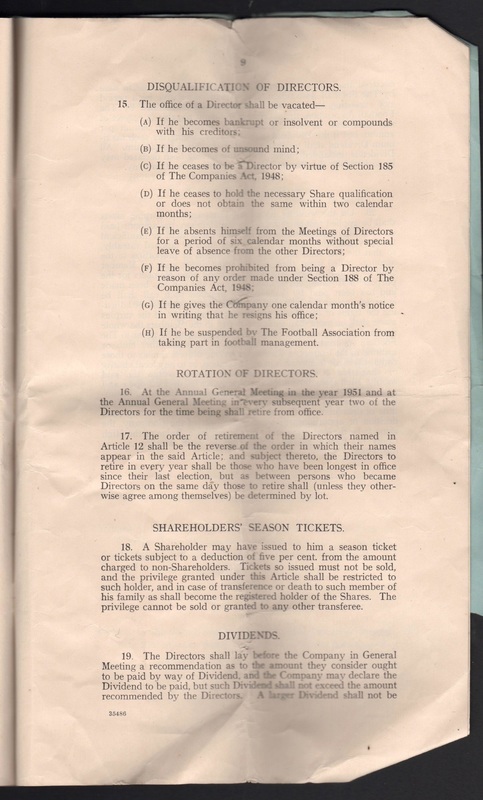 Above and 14 following images: Memorandum and Articles of Association of Abbey United Football Club (Cambridge) Limited, dated 17 May 1950. 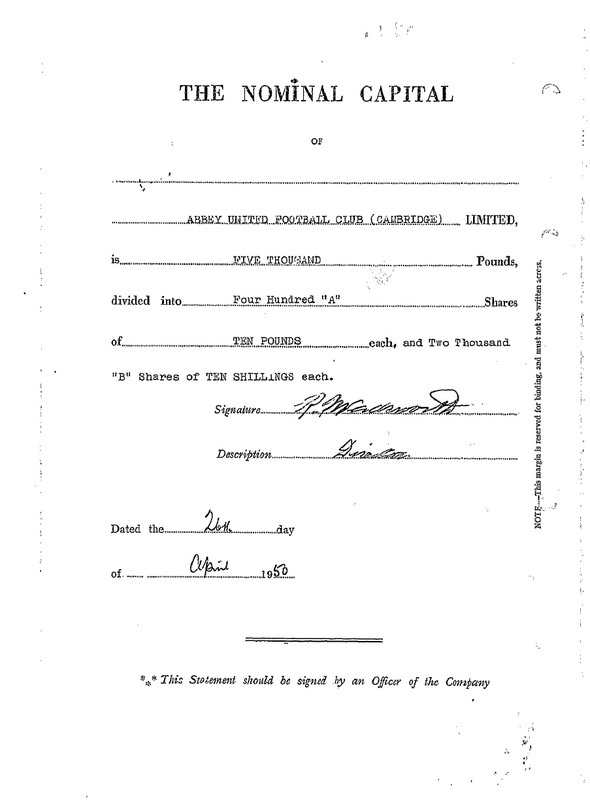 Donated by Phil Ladbrook. 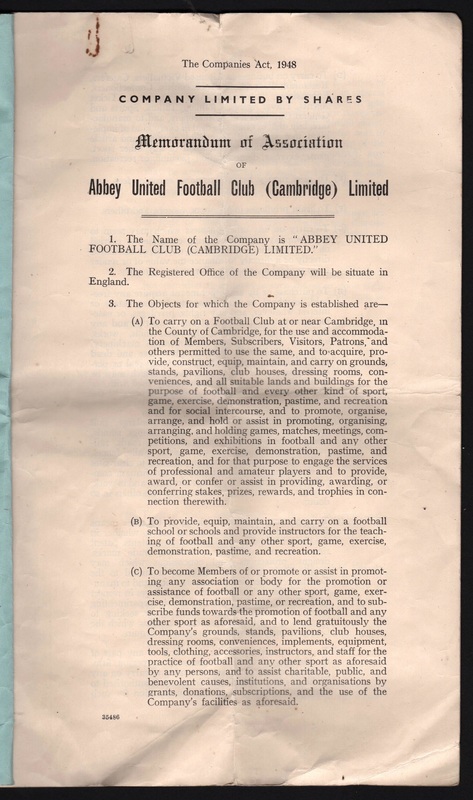 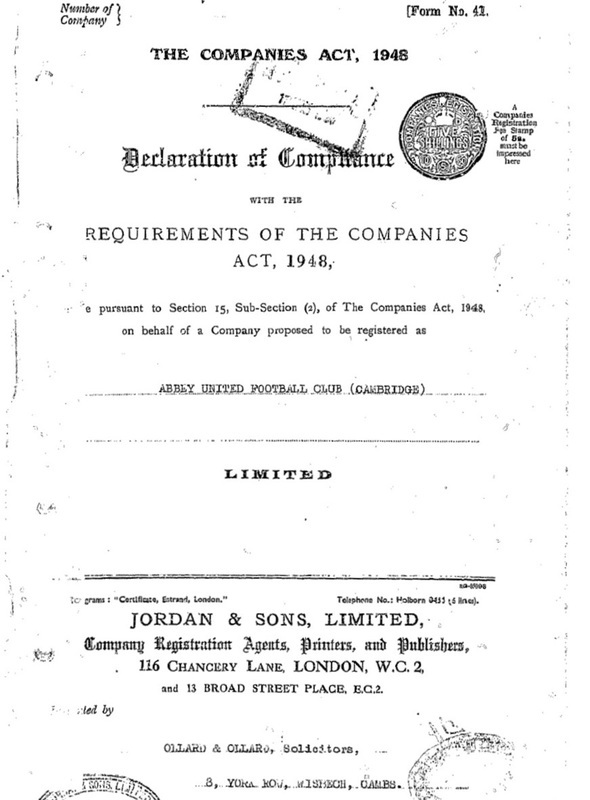 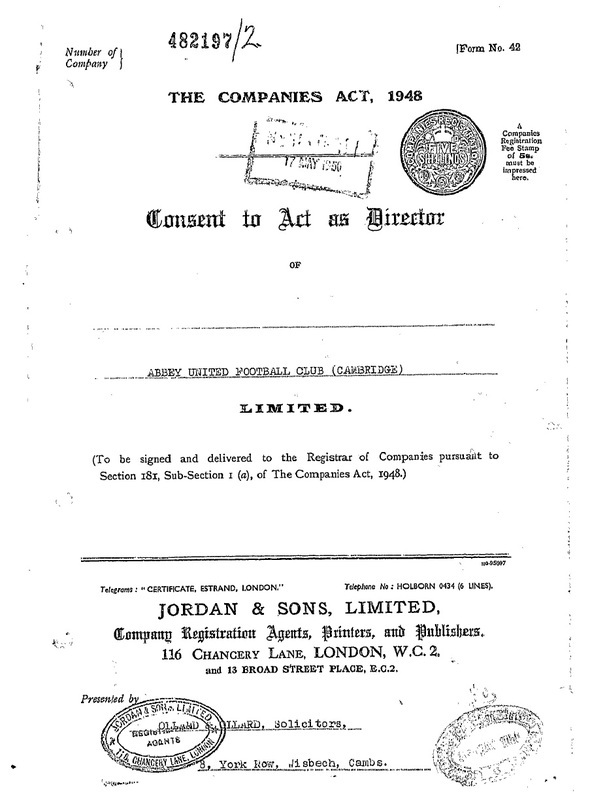 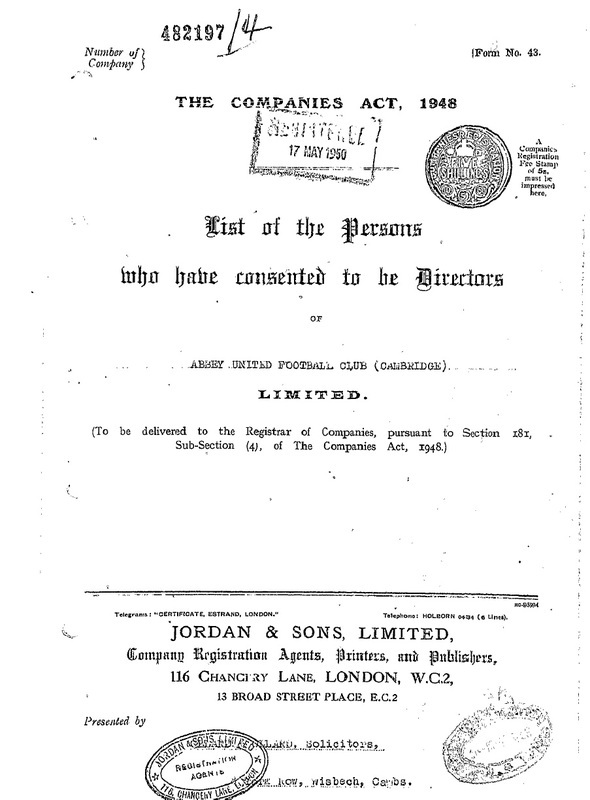 Above and right: consent to act as director of Abbey United Football Club (Cambridge), 17 May 1950. 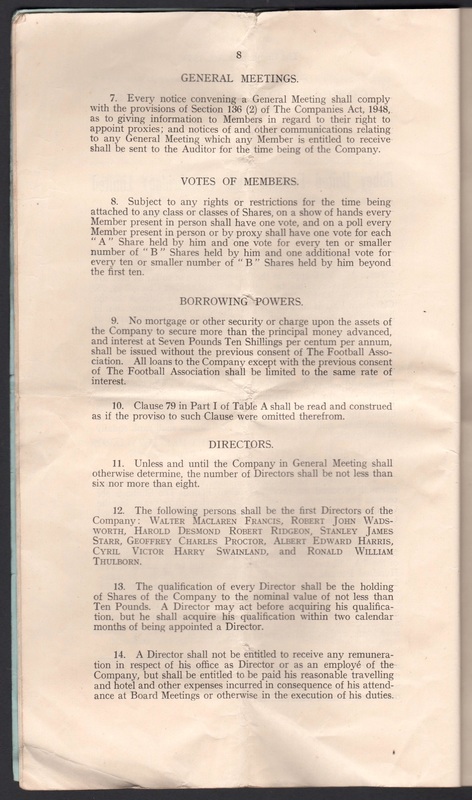 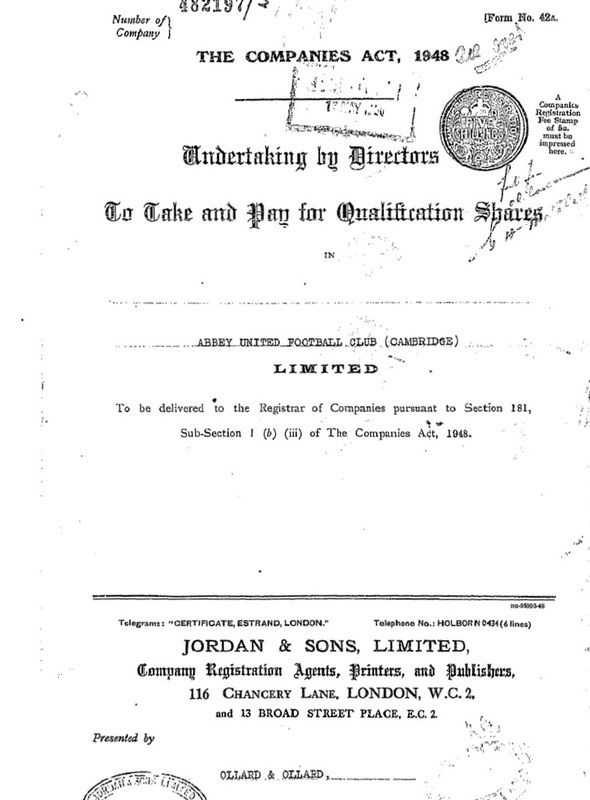 Above and right: undertaking by directors to take and pay for qualification shares, 17 May 1950. 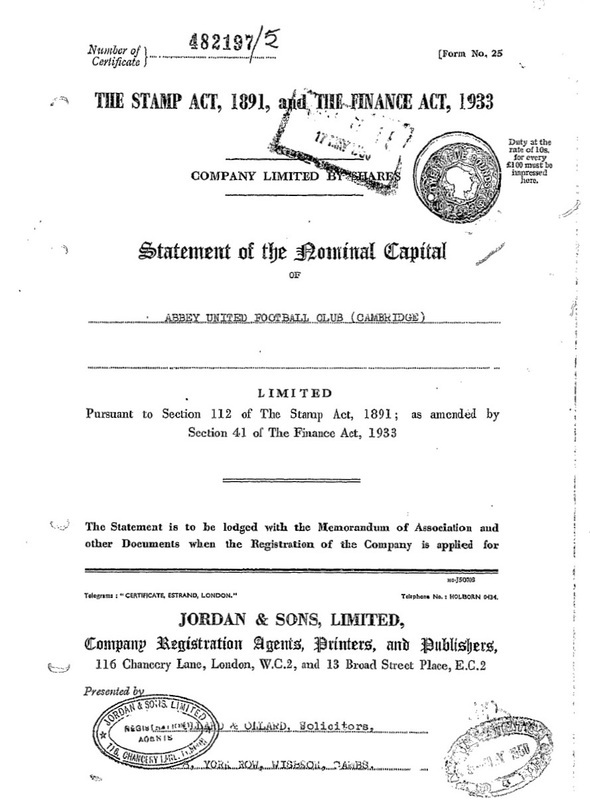 Statement of the nominal capital, 17 May 1950. 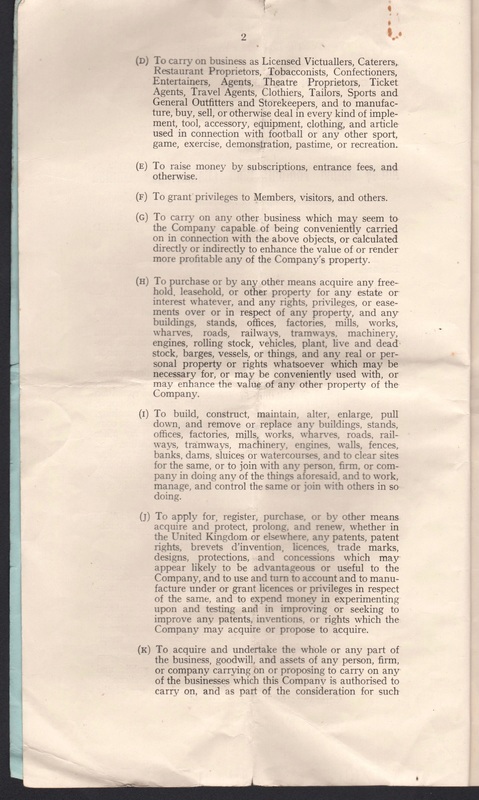 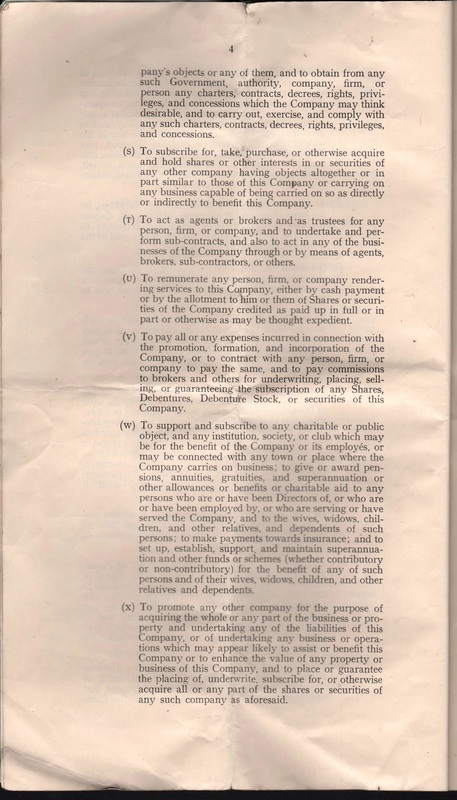 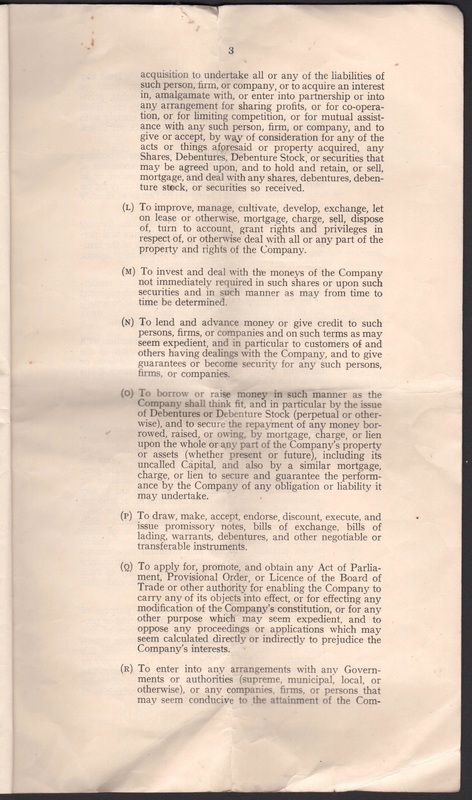 Above and right, declaration of compliance with the Companies Act 1948, dated 17 May 1950. 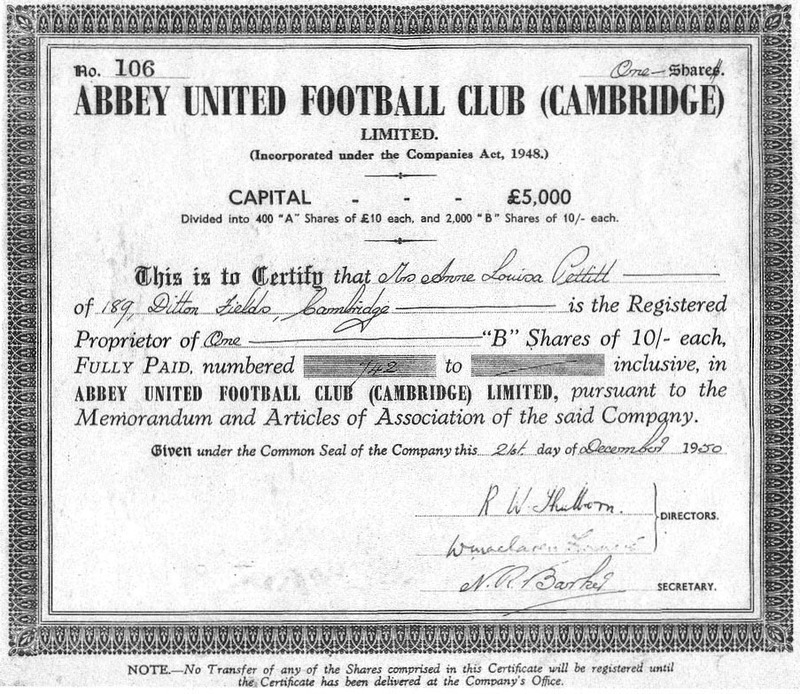 Share certificate for one Abbey United 'B' share for ten shillings, issued to Anne Louisa Pettitt of 189 Ditton Fields, Cambridge on 21 December 1950. 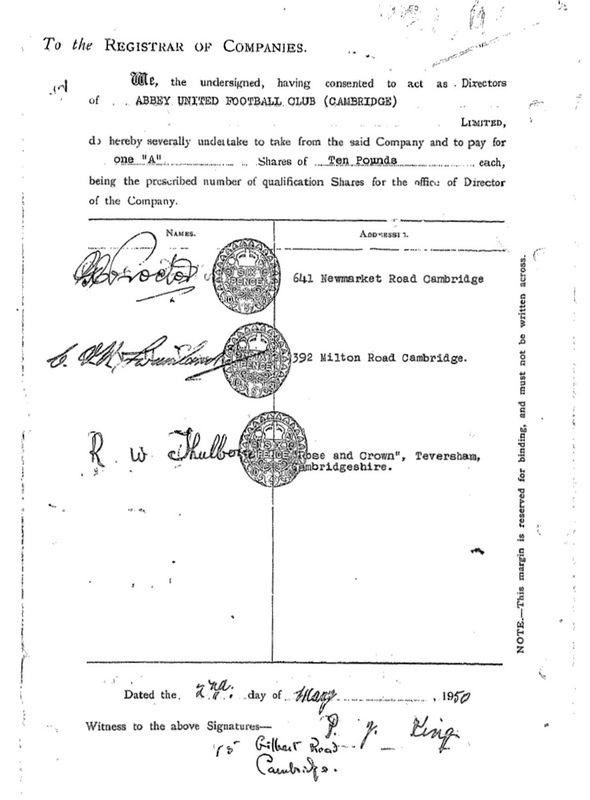 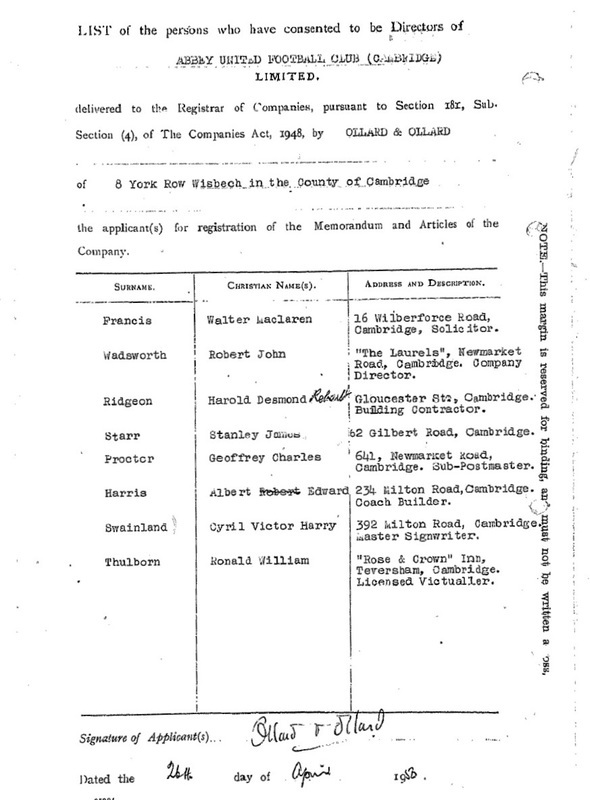 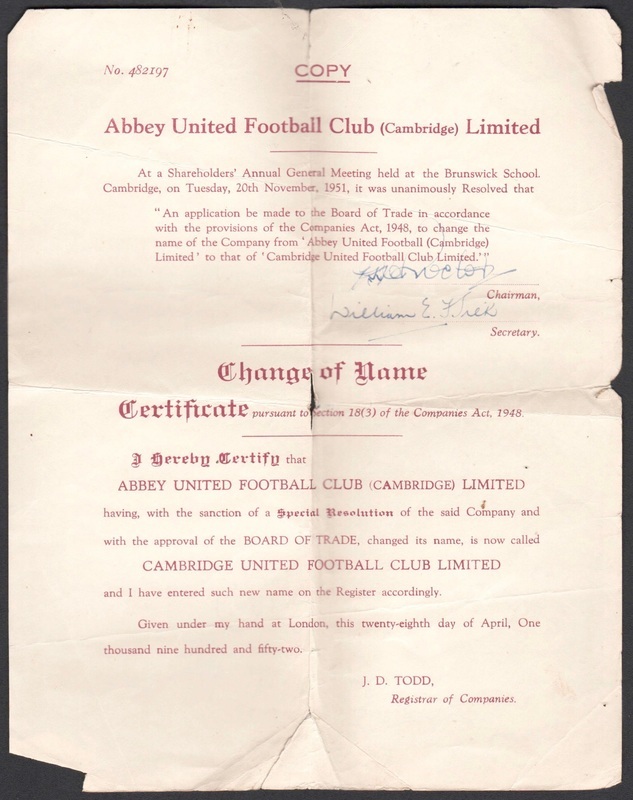 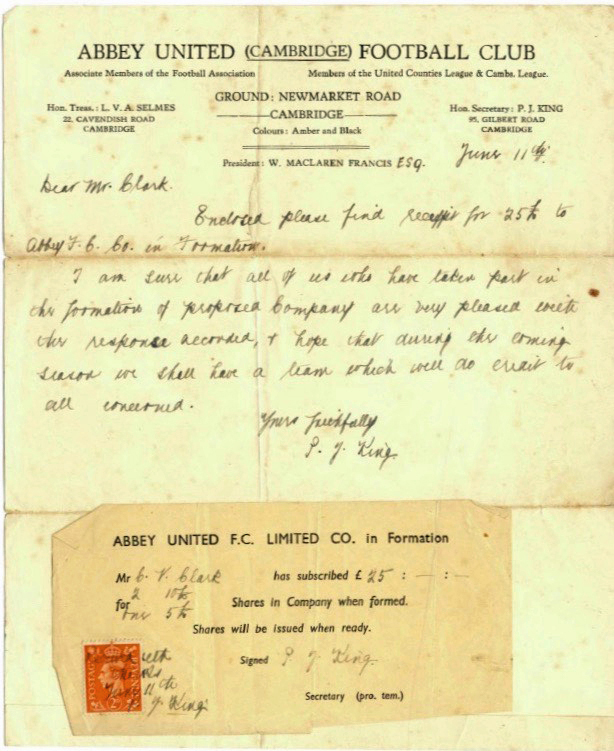 Certificate of change of name from Abbey United to Cambridge United, dated 28 April 1952. 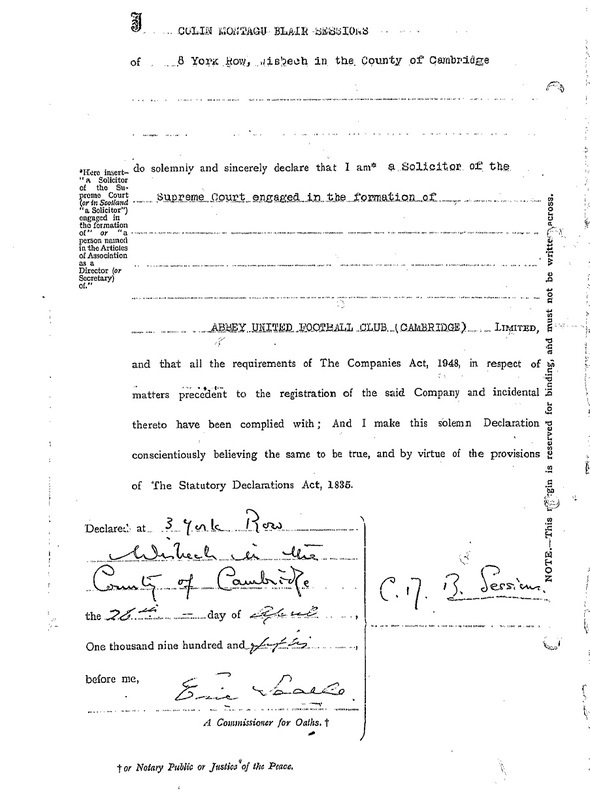 Donated by Phil Ladbrook. 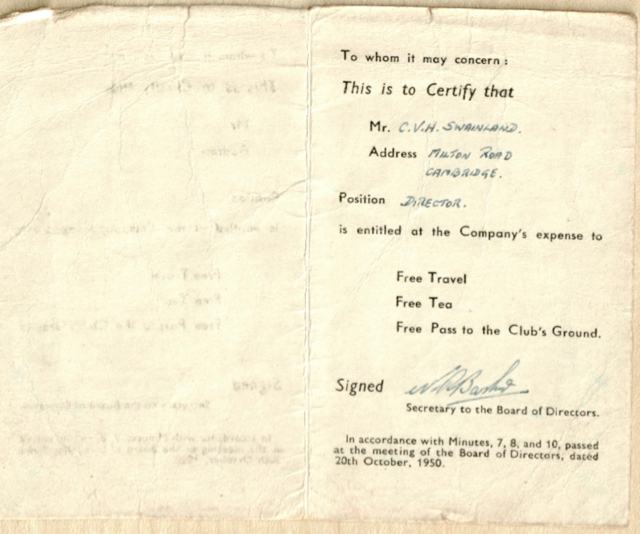 … free travel and free tea. 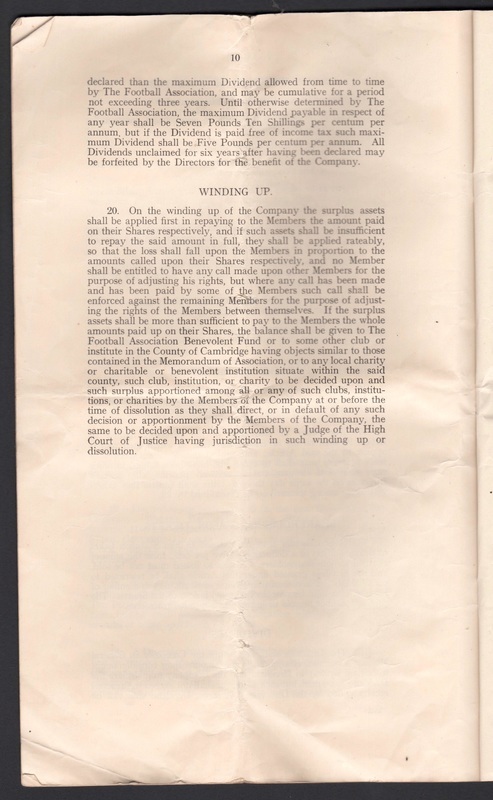 From the Swainland donation at the Cambridgeshire Collection.